It happened! 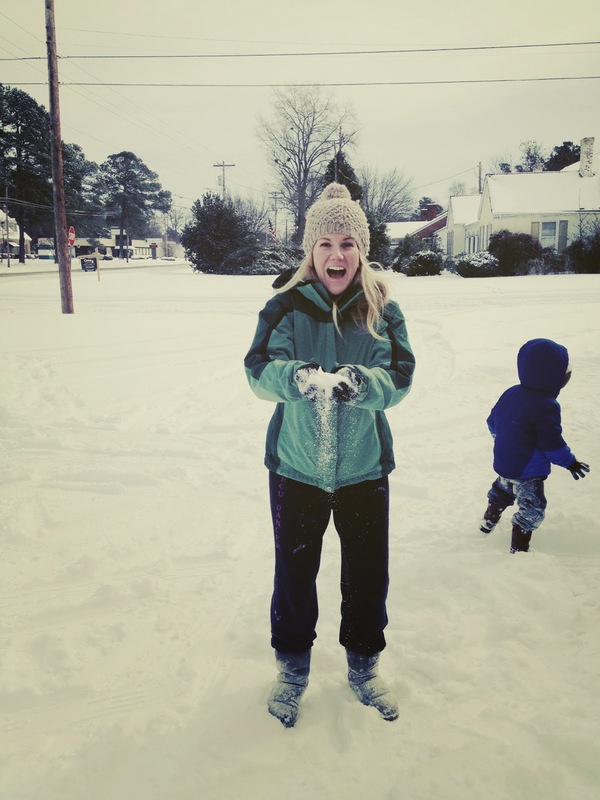 It actually snowed in North Carolina last week. Snow only falls about every other year here, so when it does, everyone gets really excited. I'm usually not a fan, but this year was really fun with the boys. ^^We had everything planned out perfectly for a snowman. 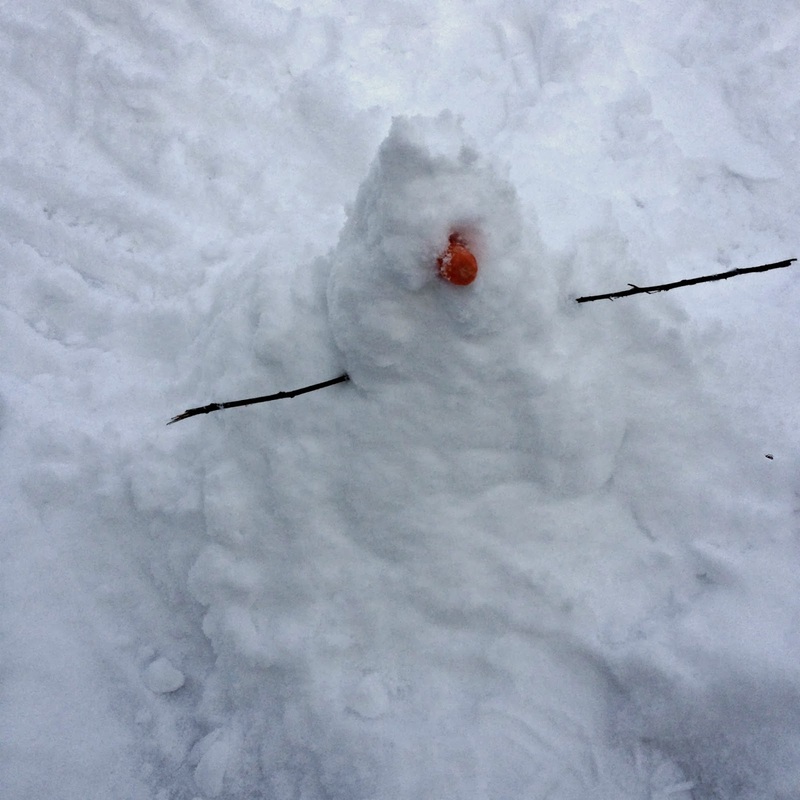 The Oreos for buttons, the carrots, the raisins...and then we realized that it was REALLY hard to build a snowman. This ^ took us about 10 minutes. I kid you not. ^^But a neighborhood snowman was amazing! 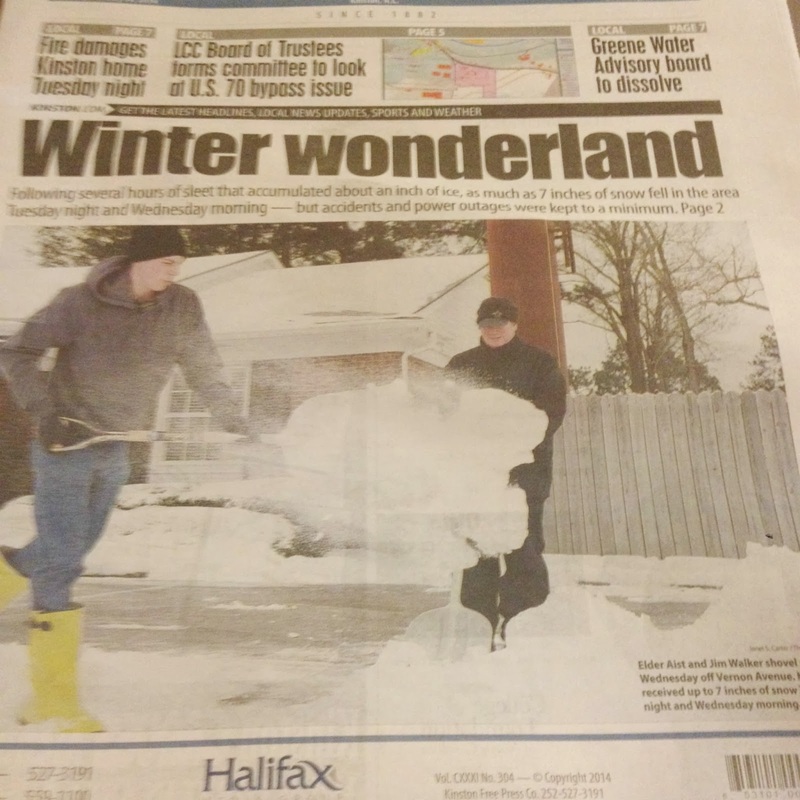 ^My dad with the missionaries on the front page of the paper shoveling in front of his office. 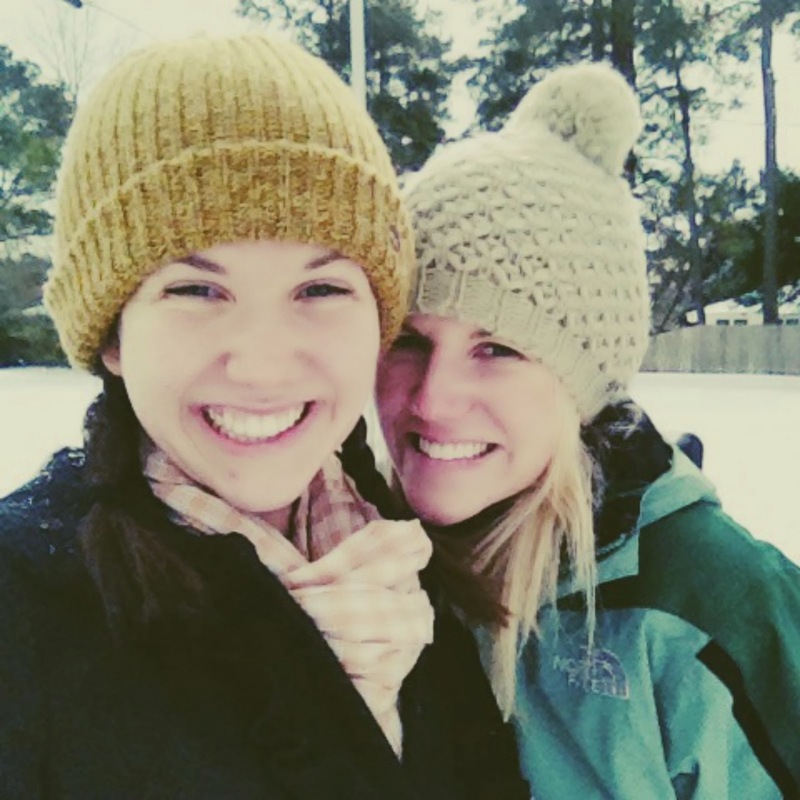 We spent the snow days at my parents' house, and did all the fun things that snow brings. Made snow cream, got new snow boots, had snowball fights, went sledding, stayed in pjs, and shoveled snow (which Charlie surprisingly really liked to do). The boys also got the royal treatment as usual, with early morning Disney channel watching and breakfast in Grandpa and Mimi's bed. Oh my goodness, how sweet! I am loving the picture of the boys in their cars pajamas. I'm glad you enjoyed the snow more than usual this year! I'm with Walker - I love to sit inside and watch it, but I am not one for actually getting out in it, Brrr! 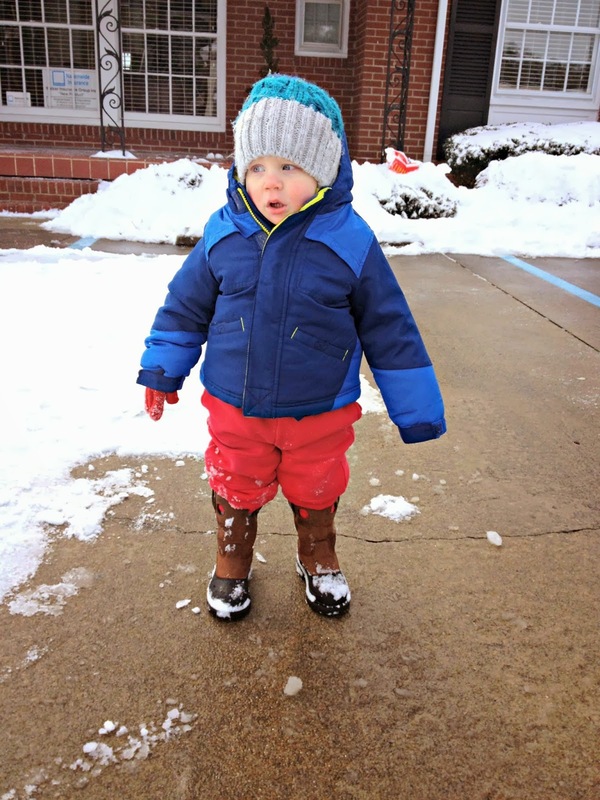 We had just as much fun on the snow day too! I was very surprised at how hard it was to build a snowman. We ended up with a really small one too that took forever to make! Still so much fun having a little one though, watching her in awe of it all! It was a good snow! Making a snowman is hard. We tried a few years ago when it snowed. Y'all got quite a bit of snow! We get so little here in Georgia, I love it every time! I'm definitely one of the few. Seriously so precious!! I'm so glad you guys got a little dose of it this year!! 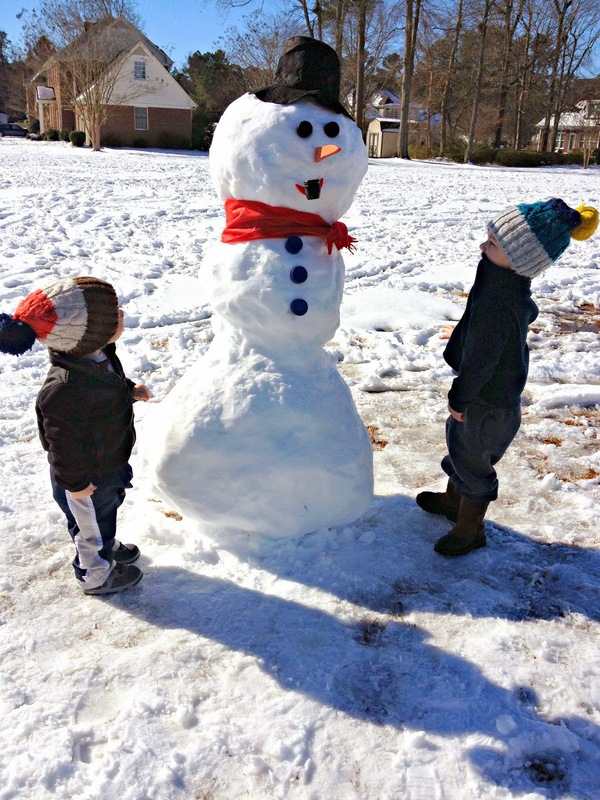 The boys looked thrilled -- what a neat snowman you guys found!! Love the boys' matching winter outfits- so adorable! 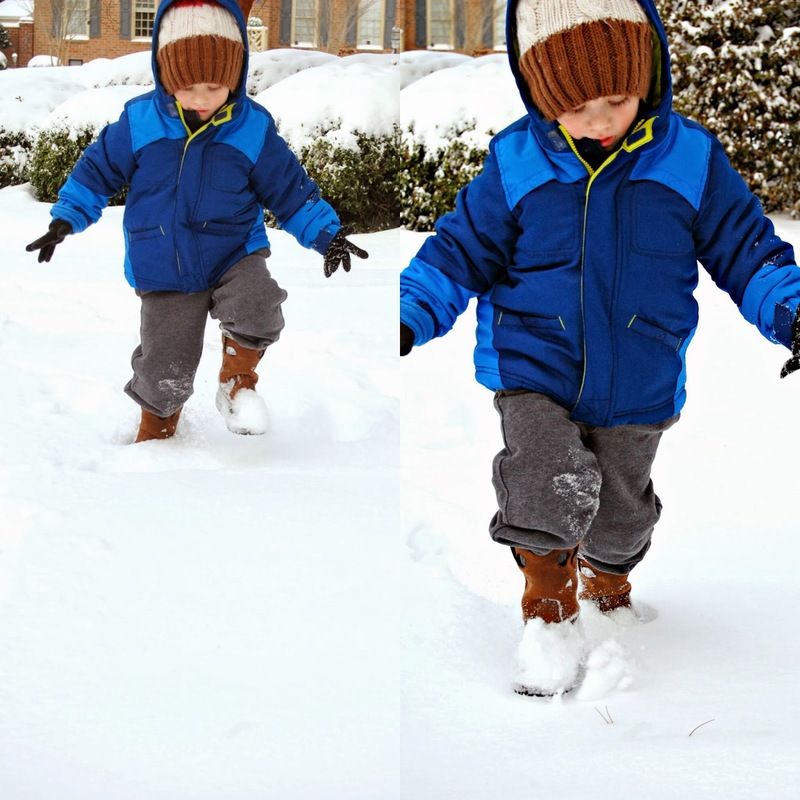 It looks like your boys had a terrific time in the snow! Looks like you all had such a wonderful time and according to the news more snow expected this week! Stopping by from Funday Monday! Yay for snow! I never posted a picture of our snowman on Instagram ... he was more like a pile of snow with eyes, a nose, a mouth, and a hat :) It was so hard to pack the snow, but our neighbors made a snowman as tall as me. I don't know how they did it. 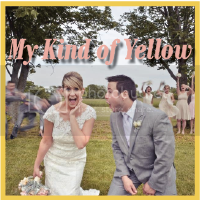 Can you believe they're calling for more this week? Crazy! I was so sad, my husband didn't get a snow day either! But it was so fun to have winter here for a few days! how fun!! way to make the most of some crazy weather!